With so many bays, sounds, and natural harbors along its Atlantic coastline, Massachusetts is known as The Bay State. More than 4,200 miles of rivers run through the Commonwealth including the Charles, the Connecticut, the Housatonic, and the Merrimack. The Commonwealth has over 1,100 lakes and ponds and at least nine reservoirs, the largest being Quabbin Reservoir. The shoreline of Massachusetts is more than 1,500 miles long and about one-quarter of the Commonwealth (2,717 square miles) is covered by water. What is Massachusetts’ maritime history? When European explorers and colonists arrived in the early 1600s in what is now Massachusetts, they found indigenous Algonquian-speaking tribes in coastal settlements. The economy of the early colonial settlements was based on farming and fishing. As port towns like Boston, Fall River, Gloucester, Ipswich, New Bedford, Newburyport, and Salem became established, Massachusetts became known as a center for shipbuilding, commercial fishing, whaling, and shipping. Beginning in 1716, a series of lighthouses and other aids to navigation were constructed along the coast and on nearby islands. In 1775, the Massachusetts Colonial Navy was established to defend the colony’s interests during the American Revolutionary War. The Charlestown Navy Yard operated out of Boston from 1801 until 1974. Nor’easters, fog, sand bars, and treacherous shoals have caused many ships to wreck and sink in the waters of Massachusetts. One of the earliest known and legendary losses was in 1717 when the Whydah Galley, the flagship of pirate “Black Sam” Bellamy, was driven ashore and broke apart at Wellfleet in a violent storm. The wreck site was discovered in 1984, making it the first pirate shipwreck found in North America. More typical underwater sites include barges, fishing vessels, freighters, schooners, tankers, and tugs. 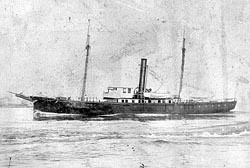 Three examples include the French Van Gilder that struck Tuckernuck Shoal in 1885, the U.S. Revenue Cutter Albert Gallatin that struck a submerged ledge near Manchester in 1892, and the City of Salisbury that impaled on an uncharted rock at Graves Ledge in 1938. Detailed information about these and many other sites open to recreational divers is available from the Massachusetts Board of Underwater Archaeological Resources on its List of Exempt Shipwrecks. Who takes care of Massachusetts's underwater archeological sites? The Massachusetts Board of Underwater Archaeological Resources is trustee of the Commonwealth’s underwater heritage in inland and coastal waters. The Board is charged with protecting and preserving these sites, and encouraging their discovery and reporting. The Commonwealth regulates the use of and retains title to underwater archeological resources within its waters. You need a permit from the Massachusetts Board of Underwater Archaeological Resources to investigate, explore, recover, report on, or conserve underwater archeological sites when the Board determines that the activity is in the public interest. A reconnaissance permit is needed for the non-disruptive inspection and identification of an underwater archeological resource characterized by minimal site disturbance. An excavation permit is needed to uncover and/or recover archeological resources through the use of disruptive investigation techniques. Although a permit is not needed for isolated finds and exempted sites, recoveries of isolated finds must be reported to the Board and the recreational diving community is encouraged to protect sites on the List of Exempt Shipwrecks for the continued enjoyment of other divers. What laws concern underwater archeology in Massachusetts? Several Massachusetts General Laws direct the Commonwealth to preserve and protect its underwater archeological sites. Primary among them are Chapter 6, Sections 179-180, which establishes the Board of Underwater Archaeological Resources, and Chapter 91, Section 63, which sets forth the conditions for salvage and recovery of underwater archeological sites. The regulations of the Board of Underwater Archaeological Resources can be found in Title 312, Section 2.00-2.15 of the Code of Massachusetts Regulations. Other important Massachusetts General Laws include Chapter 9, Sections 26-26D, which establishes the responsibilities of the Massachusetts Historical Commission; Chapter 12, Section 11D, which authorizes the state to pursue legal action when underwater archeological sites are destroyed, damaged, or impaired; Chapter 30, Section 61, which requires state agencies to minimize and prevent damage to underwater archeological sites; and Chapter 92, Section 72, which authorizes the removal of underwater archeological sites in the basin of the Charles River by the state but only in cooperation with the Board of Underwater Archaeological Resources.